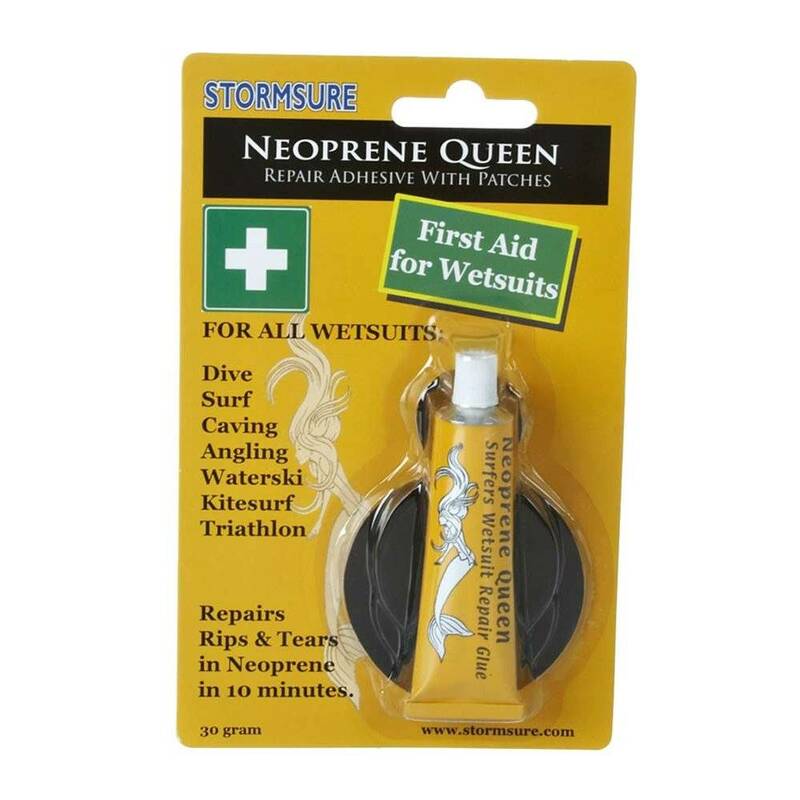 The Neoprene Queen Repair Kit 30g is super easy to use! With this Neoprene glue, any rips in your waders, wetsuit or wellies can be quickly repaired on the bank, with or without a patch, allowing you back in the water in under 10 minutes. Perfect for rips, holes, splits, open or unstitched seams. The blister card contains a 30 g tube of quick drying contact adhesive and 5 circular neoprene patches. There are easy to follow instructions on the back of the card, in English, French, German and Spanish.